Superstitions and rituals are very prevalent in modern day sports. Athletes believe that their repetitive actions have some power in controlling luck or the outcome of their matches. 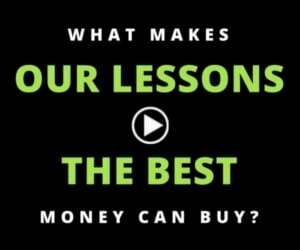 They are often deep-rooted in big wins or big losses the athlete has experienced. “You’re looking to recreate your good performances,” said Tracy Austin, a two-time United States Open champion and now an analyst for the Tennis Channel. Despite all the sports science out there, athletes, especially tennis players, swear by their superstitions, or “routines” (according to Djokovic). Perhaps it’s because tennis walks a thin line where the outcome of a match can be dictated by as much luck as actual play. For instance, dead net cords (when a ball hits the upper net cord and rolls over to the other side) are as much inevitable as they are avoidable. Or perhaps it’s because tennis is a high-pressured, individual sport. 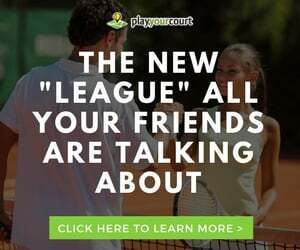 “Tennis breeds this,” the ESPN analyst Pam Shriver said, noting that athletes in other sports often have teammates and a coaching staff to help them relax. Whatever the reason, players try to find something consistent in a world of so many unknowns. Read the superstitions of some of your beloved tennis players. And share with us any superstitions you have on (or off) the court. If Serena is on a winning streak, she will wear the same socks throughout the entire tournament–without washing them! She also brings her shower sandals on court and has a particular way of tying her shoes. Now retired, Bartoli was known as an odd player to watch. She would jump up and down, run in place, and swing her arms left and right before each point. Perhaps the queen of routines, Sharapova doesn’t like standing on court lines. Her serving routine involves the following: she turns her back to her opponent and fixes her strings, walks to the baseline and bounces on the spot, brushes her hair away from her face, bounces the ball twice and then serves. Writing her routine was just as exhausting as reading/watching it! You can watch a video of Sharapova’s serving routine here. Richard is definitely not a favorite with the ball boys. If he wins a point, he will insist on using the same ball for the next point. If he loses a point, he will demand on using the ball that he last won a point with. During Andre Agassi’s 1999 French Open run he initially forgot his underwear for the first round match. After he won that match, he decided to keep the trend going, opting not to wear underwear for the remainder of the tournament–and his career. 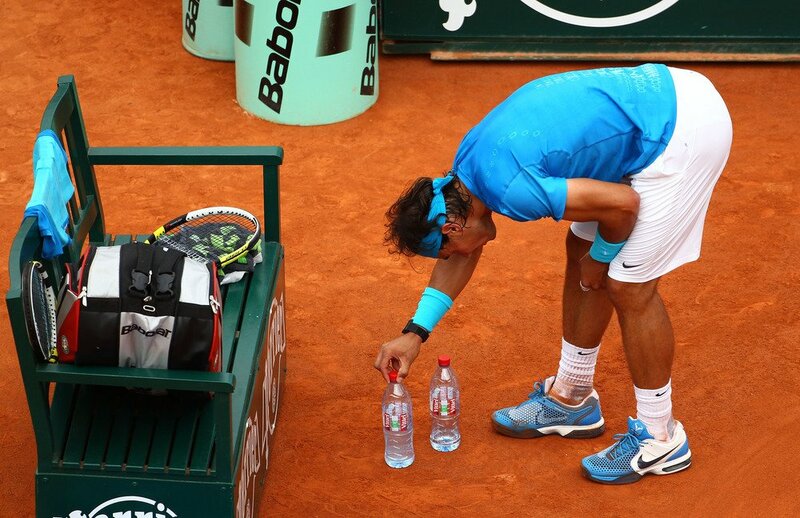 Perhaps the king of rituals, Nadal is the player most known for his “quirks”. From the water bottles, to the hair fiddling, to the picking, his superstitions often distract his opponents and result in time violations. For a full list of his rituals, click here.